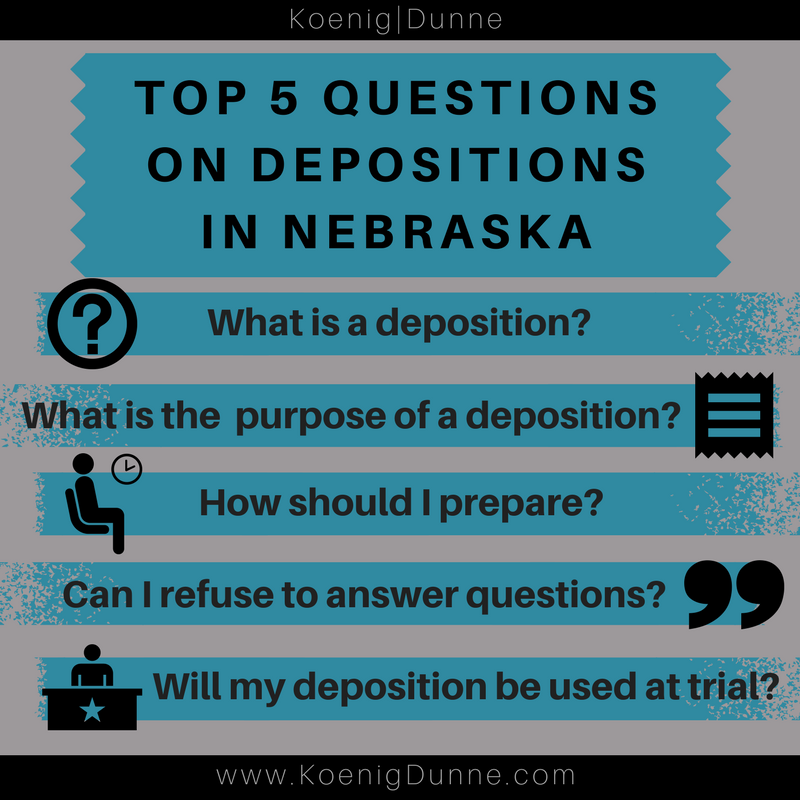 A deposition is the asking and answering of questions under oath, outside of the courtroom, in the presence of a court reporter. You will be “sworn in” and asked a number of questions by the attorney for the opposing party. Your attorney may ask you a few questions as well. A deposition may be taken of you, your spouse, or other potential witnesses in your case. After the deposition, the questions and your answers will then be transcribed (typed up) by the court reporter exactly as given. A printed or electronic copy of your testimony will then be created. To prepare for your deposition, review all important documents in your case, such as the complaint, answer and counterclaim, your answers to interrogatories and responses to request for production of documents, your financial affidavit, and any temporary hearing affidavits. If you’ve been asked to provide documents at the deposition, gather those documents in advance and provide them to your attorney. Discuss with your attorney the types of questions that you can expect to be asked and if there are any questions that you are concerned about answering. Can I refuse to answer the questions asked at my deposition? Questions in a deposition can cover a broad range of topics from your personal relationship to your marital property. The attorney is allowed to ask you anything that is reasonably calculated to lead to the discovery of admissible evidence. If the question may lead to relevant information, it can be asked. On rare occasions, your attorney may object to a question. There are few grounds for objecting to questioning during a deposition, so in most cases you will need to answer the question presented. If your attorney does object, say nothing until the attorneys discuss the objection. You will be directed whether or not to answer. Unless you are directed otherwise, you must answer all questions asked of you. Will my deposition be used at trial? A deposition is a discovery tool that is used to obtain information to assist in trial preparation. In some circumstances, a deposition may be used at trial. At trial, if you are called as a witness and you give testimony contrary to the testimony in your deposition, the deposition can be used to impeach you by showing the inconsistency in your statements. This may damage your credibility as a witness. It is important to review your deposition transcript prior to your live testimony at trial to ensure consistency and to prepare yourself for the type of questions that you may be asked in court.